Flavored seeds are driving growth in the category. 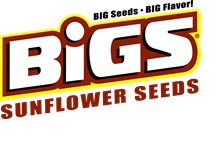 BIGS® flavors experienced 36% compounded annual growth from May 2012 to May 2014, driving nearly 40% of all flavored seeds growth over that same period. BIGS® All-star line-up!